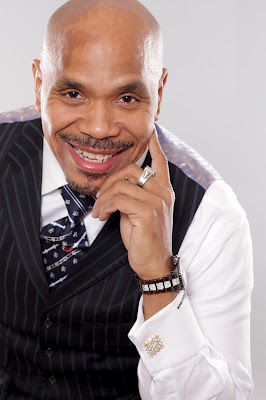 Recently, I (Consciousness Magazine) was able to catch up with veteran actor and producer Christopher Mann to discuss the urban crime drama Underground Kings, where he stars as Walter ‘Smooth’ Davis, alongside John Canada Terrell, Tiffany E. Green, and Brian Anthony Wilson. 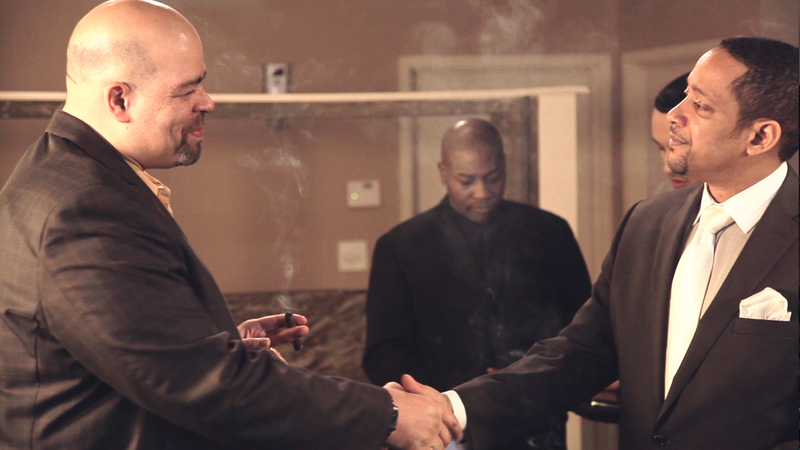 Christopher Mann has played in films such as The Wire, Michael Clayton, and Duplicity, just to name several. 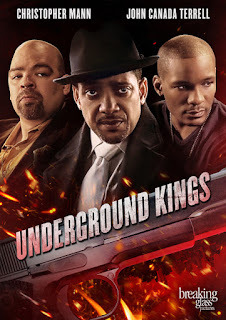 Here is what the talented actor had to share in reference to his role in Underground Kings is now available On Demand and DVD. 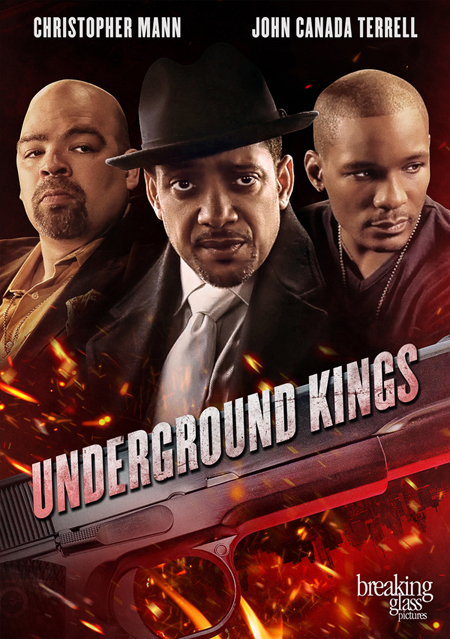 Aaron Robinson: You play the role of Walter “Smooth” Davis in the crime drama The Underground Kings. How has this experience been for you? 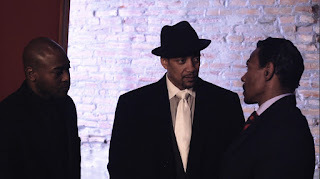 Aaron: What is your experience like working with such a talented director and cast such as John Canada Terrell, Tiffany E. Green and Brian Anthony Wilson? Christopher: It's always a pleasure working with experienced actors and directors. So many nuances and unseen moments can develop on set once you start to work with great talent. Aaron: What separates this role from any other role you have ever played in your career? Christopher: Most of the roles I've played have kept me on the right side of the law. I've played doctors, lawyers, Councilmen, police officers and even a judge. Smooth is a guy who is from the streets. He probably could have been very successful in any professional field if he was given an opportunity. But like many urban, African American males who haven't been able to avoid the snags that are common in urban life, Smooth resorts to using his street smarts to claim his stake in life. Aaron: For those who may have never seen the series The Underground Kings, what interest do you think they will gain, or what do you think they will take-away from the series after watching it? Christopher: As for the viewing audience, there is always an interest in watching stories of those who cross the lines of what is an appropriate life style or way to make a living. Gangster movies never grow old. These stories are not ethnically specific. There are criminals in every society on this planet. Also, in some cases the only difference between those on the wrong and right side of the law is the badge. Aaron: Do you have any other upcoming projects that you are working on that you would like to discuss? Christopher: I most recently could/can be seen in the feature film, "Loving". It's about an interracial couple in 1958 who were arrested in Virginia due to miscegenation laws that made their marriage illegal. The film stars Ruth Negga and Joel Edgerton and directed by Jeff Nichols. I play Theoliver Jeter, who is the father of Ruth Negga's character, Mildred Loving. I also recently worked on a new Netflix series. Not sure I can mention the name of the project, but I did get to work with famed director David Fincher. ("Se7en", “Fight Club", "Gone Girl"). I'm in the early development of a biopic on Civil Rights Leader, Cecil B. Moore. It's working title is, "American Zealot". I'm looking forward to bringing his story to the big screen. Aaron: Christopher, would you like to give any advice or share any words-of-encouragement for the up-and-coming actors or actresses who are looking to be successful in the film industry such as yourself? Christopher: Well, the one thing you have total control of is your handle of and ability with the craft. Learn the craft. Treat each job with the same respect. There are no small parts, just small actors. Surround yourself with people who truly support you. You'll need their encouragement and support when things get tough. There will be many days when you feel you can't go on any further. If you don't experience those days, consider yourself "One in a million" and unbelievably fortunate. Aaron: Are you a part of any community initiatives or organizations? If so, what inspired you in wanting to be a part of them and what do you like most about being involved with them? Christopher: I have been talking with some people recently about being a part of a group where I can share my knowledge of acting to people in areas where there aren't many resources for the people to get that exposure. I feel the importance that entertainment has in our society, whether it be comedy, drama or fantasy. However, being involved with an activity that can change the outlook of the lives of others who may feel there aren't any opportunities or hope for their future, gives even more purpose to my life. Aaron: Before we end the interview, would you like to mention anything else that we haven’t discussed or talked about? Christopher: I'd like to thank you for granting this interview. I want to thank everyone involved with this project for all their hard work and dedication. I want to thank Rich Wolf of Breaking Glass Pictures for believing in "The Underground Kings". Last and certainly not least…. 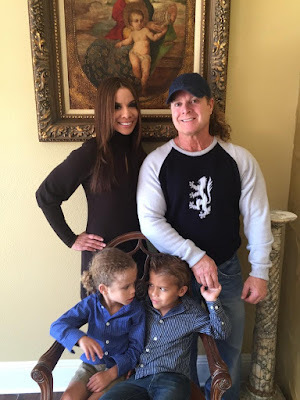 Thanks to my wife and kids for standing by me and supporting me.